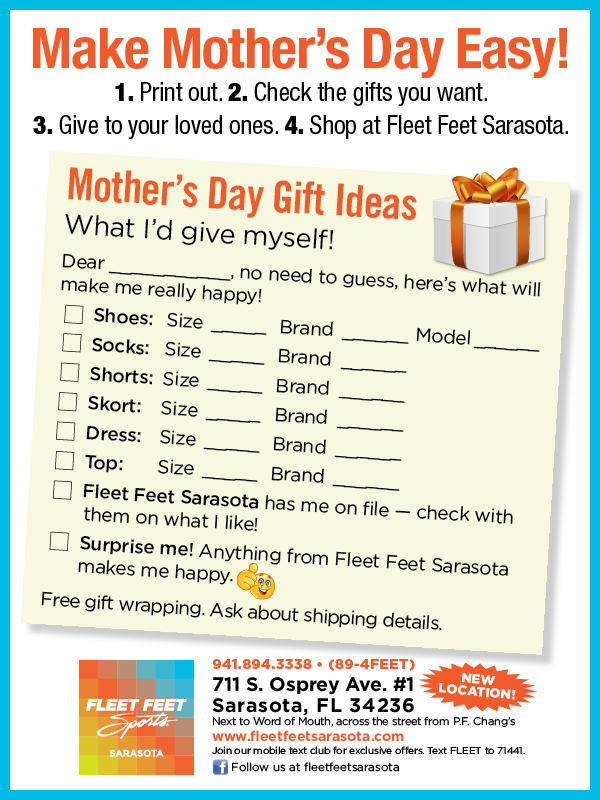 Home › Fleet Feet Sarasota Blog › Make Mother's Day Easy! Searching for the perfect Mother's Day gift for an active mom? Check out our Fleet Feet Sarasota's Staff Picks HERE!